Since a 2000 inquiry into the deaths of rail workers in the 1990s, health and safety in rail has been covered by two pieces of legislation – the Railways Act and the Health and Safety at Work Act, and overseen by the Transport Agency and WorkSafe when it was established in December 2013. In 2012, 10 KiwiRail workers were overcome with gas while working in the country’s longest tunnel, the near nine kilometre long Kaimai Tunnel. 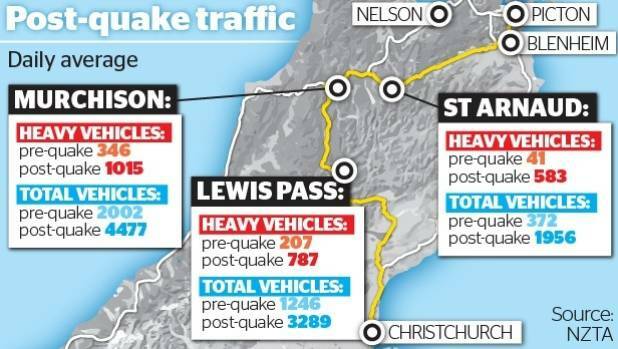 In November 2013, there was a similar incident in Otira Tunnel near Authur’s Pass. The union’s general secretary, Wayne Butson, said it commissioned the report as part of an ongoing struggle to get rational health and safety regulations into the rail industry since the Railway Act came into force. Mr Butson said the agency did not have a culture of regulation, “what they have is a culture of trying to encourage and educate and work with employers to see how they can improve safety”. Wayne Butson and Hazel Armstrong said rail safety and regulation needs to be completely taken out of the agency’s hands and fall under WorkSafe. 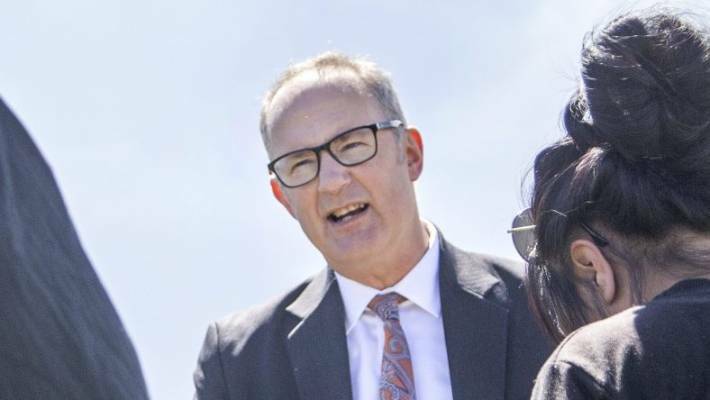 Transport Minister Phil Twyford made a ministerial statement in Parliament reassuring the public about the NZ Transport Agency and road safety, and revealing some more detail about investigations. It comes after he announced last week that he was initiating a regulatory review of the agency which was set up 10 years ago to combine three functions as the transport funder and builder, and safety regulator. 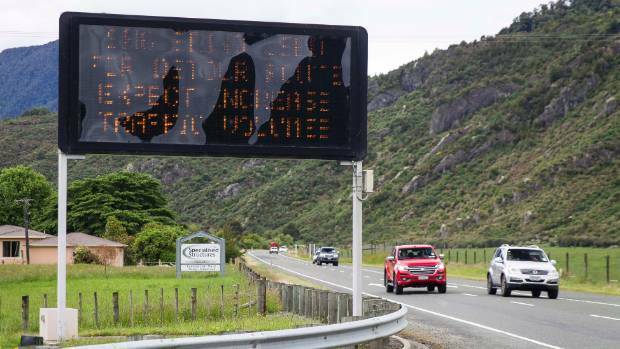 Twyford said there had been systemic failures by the agency to properly check operators who certified vehicles as safe for the road – Stuff has reported on one death, cracked truck towbars, and suspension of certifiers. Phil Twyford has been dealing with the crisis at the NZ Transport Agency. Out of the 850 “open files”, or unresolved safety problems, the worst had been resolved but there were still 28 that were being urgently investigated, Twyford said. There had been 157 files considered high priority, 370 classed as “orange”, and 345 “yellow”. Twyford said he has been assured the highest priority cases had been dealt with by formal compliance action either completed or under way. “Injuries on our roads are not the price we pay to travel. They are unacceptable and preventable,” he said. He had appointed the Ministry of Transport to review those functions, and given what the public and Government now knew, it was appropriate to appoint external advice, he said. The agency had failed to properly check operators who certified vehicles or operators, as safe for the road, and when problems were identified there was often no follow up, Twyford said. Staff had been redeployed with reduced focus on the regulatory role over the past decade with an emphasis on education and encouragement rather than enforcement, made worse in 2014 when it lost staff from its heavy vehicle compliance team. As previously reported, the failures of the agency have led to one fatality in a car, and cases of metal fatigue in truck towbars. Transport Minister Simon Bridges has today announced appointments and reappointments to the Boards of Maritime New Zealand (MNZ), the New Zealand Transport Agency (NZTA) and the Civil Aviation Authority (CAA). Mr Bridges has reappointed Peter Cowper to the Board of MNZ. He has been a member since May 2011. “Mr Cowper’s reappointment will provide Board continuity, as he continues to contribute his extensive commercial and leadership skills,” Mr Bridges says. MNZ is a Crown entity whose primary function is to ensure the safety, security and environmental protection of New Zealand’s coastal and inland waterways. Its Board has five members. Mr Bridges has also appointed two new members to the Board of the NZTA – former Mayor of Queenstown, Vanessa van Uden and professional director Mark Darrow. “Ms van Uden brings a new perspective, along with her local government experience. “Mr Darrow has wide-ranging governance experience, and Chairs the Audit and Risk Committee for the Counties Manukau District Health Board. 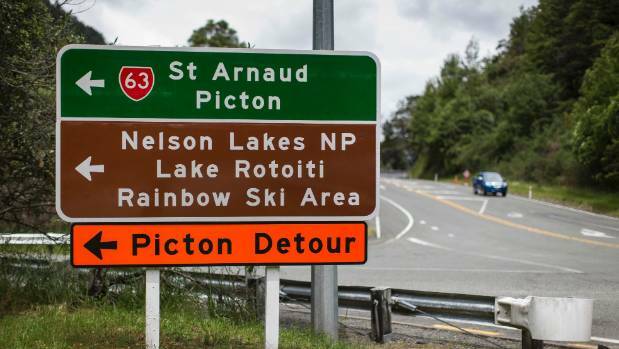 His appointment brings extensive transport knowledge and an injection of fresh energy to the NZTA’s Board,” Mr Bridges says. In addition, Mr Bridges has reappointed Adrienne Young-Cooper who has been a member of the NZTA Board since August 2011, and is a member of its Investment and Operations Committee. Ms Young-Cooper’s reappointment provides continuity, as well as strong governance. NZTA is a Crown entity whose primary role is to contribute to an effective, efficient, and safe land transport system in the public interest. Its Board has eight members. Mr Bridges has appointed experienced lawyer, Anna Adams and reappointed Grant Lilly, to the Board of the CAA. “Ms Adams brings experience in public law and regulatory systems. She is also the Board Chair of law firm, Meredith Connell. Her appointment will provide a new perspective for the CAA,” Mr Bridges says. Mr Lilly has a strong aviation background after 40 years’ experience in the aviation sector. His reappointment will provide continuity to the Board. He has been on the CAA Board since 2011. The CAA is a Crown entity whose primary function is to regulate and promote an integrated, safe, responsive and sustainable civil aviation system. The CAA Board has five members. Mr Cowper has extensive leadership experience with large and complex technical organisations and environments. He brings substantial experience in defining and managing complex change, consulting, strategic insight, risk management, ICT and telecommunications knowledge, procurement skills and commercial knowledge. Ms van Uden has been Mayor and Councillor of Queenstown, a rapidly growing area of New Zealand. She has worked in governance, accounting and contract management. She has recent first-hand experience of local government roles in transport. Ms van Uden splits her time between Queenstown and Wellington. Mr Darrow has a wealth of governance experience, as he is currently Chair of multiple entities and Chair of the Audit and Risk Committee for a District Health Board. He has transport sector experience with the Motor Trade Association, Dekra New Zealand, Courier Solutions and Armstrong Motor Group. Mr Darrow is Auckland based. Ms Young-Cooper is a senior and experienced Board member, having been on the NZTA Board since August 2011, and is a member of its Investment and Operations Committee. With her background in urban planning and as a company director, Ms Young-Cooper makes informed contributions. Given her previous experience as a Board member of Maritime New Zealand, she has a strong transport background. Ms Young-Cooper is Auckland based. Ms Adams is a practicing lawyer and Board Chair of law firm, Meredith Connell. She has been with Meredith Connell since 2003 and a partner since 2008. Her main experience has been in public law, health law, regulatory systems and litigation. Ms Adams also has a background in public sector policy and managing legal risk. She brings an analytical approach to managing issues and good communication and relationship skills. Mr Lilly has governance experience from a number of director roles in the aviation sector including Queenstown Airport Corporation Limited, Jetconnect Limited, Jetstar Airways Limited, Air Nelson Limited and Eagle Airways Limited. He was a member of the Board of Airline Representatives from 2006 to 2011, and a board member of the New Zealand Business and Parliament Trust from 2008 to 2011. National Road Carriers (NRC) chief executive David Aitken has praised the traffic improvements being delivered through Onehunga by the East West Link project, noting members have welcomed the Neilson Street Bridge demolition and lower replacement road. “These changes have improved the sight lines for freight drivers and given them extra space for safe turning,” he says. “The connection between Neilson Street and Onehunga Wharf Road is now working much more efficiently with our members currently noticing better traffic flows. 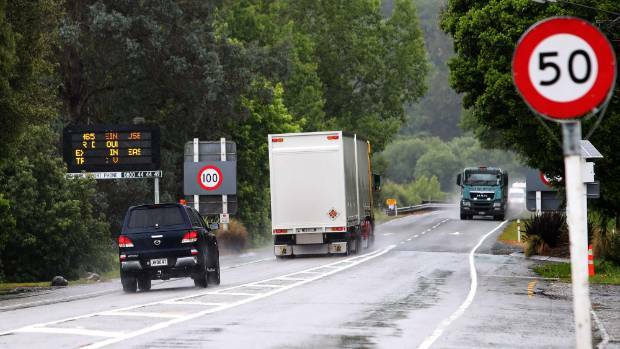 It is understood drivers of heavy vehicles are also appreciative that they are no longer required to stop for the light changes on the steep gradient that was a feature of the over bridge. Recently commenced by the New Zealand Transport Agency (NZTA), the $1.25 billion to $1.85 billion East West Link project will ultimately provide a four-lane road connecting State Highway 20 at Onehunga to State Highway 1 at Mount Wellington. “This will make it far more efficient and reliable for freight to move through this important industrial and manufacturing area.